Fairstone Tumbled Walling is sourced from a fine grained Indian Quartzitic sandstone. The stone is hand selected for colour and quality consistency. Tumbled on all sides and features a cropped finish on the show face of the product. 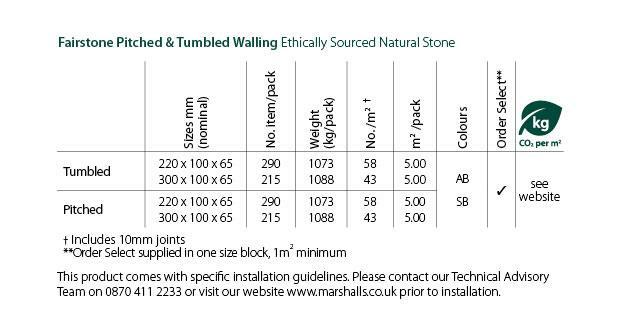 Marshalls source all their Fairstone Sandstone from Kota in India, as part of their ethical trading initiative. Fairstone Sandstone is one of the most durable and hard wearing Sandstone products available.